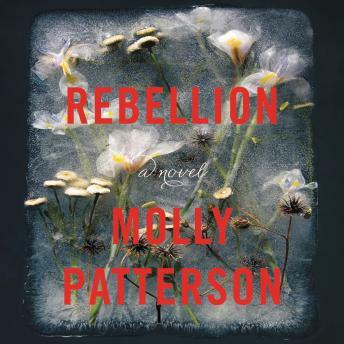 Reminiscent of Elizabeth Strout and Jane Smiley, Rebellion is a powerful debut novel by Molly Patterson, weaving together the stories of four women unafraid to challenge the boundaries of their lives, spanning generations and taking readers across the globe. In 1890, a young missionary, Addie, has traveled to the town of Lu-cho Fu with her husband, dreaming of making her mark on the world. But Addie’s desires change after meeting a brash and thoroughly modern woman, Poppy, who offers to transform Addie’s destiny. All the while, letters from Addie reach her sister Louisa back home, recently married and struggling with the quiet isolation of being a farmer’s wife. When violence erupts overseas between the Chinese and their unwelcome Christian intruders, Addie’s life takes a mysterious and haunting turn strongly felt by her sister, Louisa, back home. By 1958, Louisa’s daughter Hazel is fighting to maintain control of her land and family in the aftermath of her husband’s untimely death. Reeling from the tragedy, she finds herself drawing closer to the neighboring Hughes family and in the process learns that grief takes on many forms. One hundred years after Addie’s disappearance, Juanlan returns to her hometown with no job and no options. She finds her father ailing and her pregnant sister-in-law restless and angry. While her family and town are rapidly changing, Juanlan feels frozen in place. In search of an outlet for the live wire she feels buried inside, she starts up a love affair with a married man. Interconnected by action and consequence, each woman’s tale brilliantly displays the fleeting intensity of youth, the obligation of family, and the dramatic consequence of charting your own destiny. A vibrant story of compassion and discovery set against a century of complicated relations between China and America, Rebellion celebrates those who fight against expectation in pursuit of their own thrilling fate, and introduces a rising literary star.